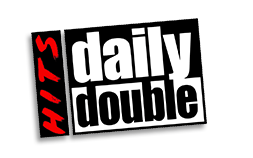 Section 101, the leading website platform for music, arts and entertainment, is pleased to announce the re-launch of the HITS DAILY DOUBLE website at https://hitsdailydouble.com/. Where do you go when you want the latest dose of music industry insider news, chart predictions, insights, video premieres and don’t-take-yourself so seriously commentary?  HITS DAILY DOUBLE, the music industry online bible that ties together every facet of this energized business in one daily (self-depreciating) digestible capsule. An offshoot of the popular HITS magazine, HITS DAILY DOUBLE is the online arm that has recently received an overhaul thanks to Section 101, who developed both the front-end creative and back-end technology upgrades. Our team worked closely with the HITS crew to create an updated version of their current website, filled with all of the exclusive music industry content readers have come to expect. - Rumor Mill: found on the site’s homepage to highlight what’s new in music right now, the Mill includes “The Latest,” “New Today” and “Coming Soon” side columns all highlighting breaking news and time-sensitive content. - Charts: Shazam Release Charts, Vibe-Raters (breaking videos), and the unique Hits Building Albums Sales Chart are on the Homepage, all automatically updating with every change. Sales Not Yet mode appears Sunday midnight Pacific Time and runs until sales data is available. Sales Building mode runs from first data import until chart final and does not display percentage-changed column. Sales Final runs from chart final to Sunday midnight, and displays percentage changed column. - Share & Prinr: each story can now be shared or print directly from the article you’re reading. Readers can also sign up for “Rumor Mill Daily Dose” alerts from the HITS website. - Page Takeovers: All-new technology that allows for simple connection to Ad Servers so HITS advertisers can brand pages. - Archives: We’ve updated the archive section to allow readers to search News and Blog content by month and year, going all the way to back to 2003. If you’ve never visited the HITS DAILY DOUBLE website, you’re seriously missing out on some of the most incisive, creative, wry and comical content on the web. Between the hilarious AIRHEAD daily cartoon (and archives), the $$$ Sales Chart showing who is bringing in the big bucks and the oft-read RUMOR MILL name checking everyone in music, HITS DAILY DOUBLE could very well change your life - that name checks everyone in music, HITS DAILY DOUBLE could very well change your life - or, at the very least, provide you with lots to dazzle your musician friends with!